Christoph Cardinal Schönborn, O.P., (born 1945) the Archbishop of Vienna, Austria, is a highly regarded author, teacher, and theologian. He was a student of Joseph Ratzinger (Pope Benedict XVI) and with him was co-editor of the monumental Catechism of the Catholic Church. He studied theology and philosophy in Bornheim-Walberberg, Vienna, and Paris. He was ordained a Dominican priest by Cardinal Franz König in December 1970 in Vienna, and later studied in Regensburg. From 1975 he was professor at Freiburg im Uechtland. 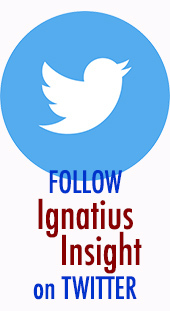 In 1980, he became a member of the international theological commission of the Holy See, and in 1987 he became editorial secretary for the Catechism. He speaks six languages and has written numerous books. Whereas Cardinal Schönborn's books Jesus, The Divine Physician: Encountering Christ in the Gospel of Luke, Behold, God's Son! Enountering Christ in the Gospel of Mark, and My Jesus: Encountering Christ In The Gospel were more popular reflections on the life and work of Christ, this book (first published in German in 2002) is an in-depth, scholarly work that draws upon his time spent teaching Christology. 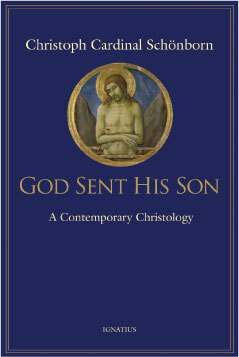 In this work of Christology, Christoph Cardinal Schönborn, a world-renowned theologian, takes as his starting point the Apostle Paul's statement, "But when the time had fully come, God sent for his Son, born of woman, born under the law, so that we might receive adoption as sons" (Gal 4:4-5). Based on many years of lecturing on Christology, Cardinal Schönborn's work moves from the solid conviction of faith that Jesus of Nazareth is the Messiah of Israel, the Son of the Living God, through the development of the Church's understanding of this truth, to the consideration of contemporary issues and the views of various modern theologians. Cardinal Schönborn sees Christology as based on the original Illumination granted by the Father in manifesting his Son, which divides, as if through a prism, into a rainbow of Christological themes. "Christology," he writes, "in every phase of its development, follows its path by this light: 'in thy light do we see light' (Ps 36:10)." Christology is always faith seeking understanding--trying to understand that to which the believer already says, "Yes!" God Sent His Son has the comprehensiveness and scholarly precision of a textbook but the insights and personal relevance of a work of spirituality. It carefully explores not only ancient and medieval questions but also modern issues of Christology.  Also available as an electronic book download. 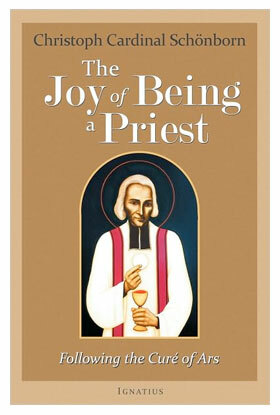 This insightful book on the priesthood is based on a series of six talks that Cardinal Schönborn addressed to an international group of priests in Ars, the village where the famed St. John Vianney served as pastor. Vianney, known as the Curé of Ars, is the patron of the "Year For Priests" announced by Pope Benedict XVI. In these talks, the Cardinal summarized the vocation, challenge, and joy of the priesthood, drawing on the life of the Curé of Ars, the writings of St. Thérèse of Liseux, St. Faustina Kowalska, and many other saints and holy people. Gathered together in this short but profound volume, these insights by the highly respected theologian and spiritual writer Cardinal Schönborn will inspire the priest as well as the layman, giving sage counsel to all who are striving for perfection in their vocation. The Cardinal speaks on the vocation to the priesthood; the importance of mercy, prayer, and spiritual combat; the Eucharist; preaching and the mission of the priest; and the importance of Our Lady to priests. NEW! 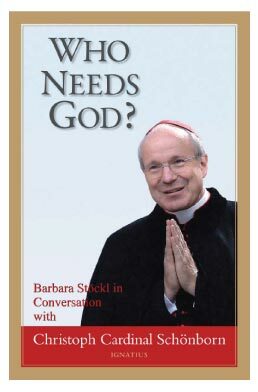 (Fall 2009) Who Needs God? We are experiencing a dramatic social upheaval in today's world, a breakdown of our living conditions and values. A non-stop world: No one can stop it, and we find no place to stop in it. Political boundaries become less important; social structures seem to disintegrate--all is subordinated to cash flow and profit maximization. With growing individualism, the concept of the good and proper life has been lost. Whether one is faithful or unfaithful, fair or unfair, honest or dishonest seems to have less importance. Freedom and prosperity are the magic words. We live flexibly and without commitment, go where we wish, when we wish. This does not produce living conditions that facilitate belief in God and contact with God, as one perhaps had during childhood. The longing for old values such as faith and deeper spiritual meaning has consequently been reawakened. What repercussions does this development have on society, children, the elderly, the ill? Whom do people allow first to be God? Who is our pilot? Is it the coach, the psychologist, the investment counselor? Who is supposed to support man in the future through his crisis, whether public or private? Who needs God? What does God provide? Can we truly live without faith or the Church? Why does the Church so often seem not to understand us and our needs? These and many other questions posed to Christoph Cardinal Schönborn in this book are the questions asked today by many people who are searching for God and want to live the experience of faith. Barbara Stöckl is an Austrian television and radio journalist. The host of numerous broadcasts, she has recently launched a new televised magazine Stöckl an Samstag.  Excerpts from Chance or Purpose? | From Chance or Purpose?  A Shepherd Like No Other | From Behold, God's Son!